Billboard Magazine - Media2Radio - THE FUTURE OF MUSIC PROMOTION! BBC Radio 1 Judge Jules. Media2Radio is up there with iTunes as an innovation. Perfectly in sync with 2008"
DJ Pencil, MOS Radio "Without Media2Radio I couldn't do such great mixes and mash ups for my Global show on Ministry of Sound Radio. DJ Cubanito (USA) "Your service is a major factor in my mix show playlists. I'm glad I met you in Miami!" Agent Greg, Radio 1 Rhodes "Media2Radio is incredible with quality tracks too! It's an honor for me to be on your promo list!" 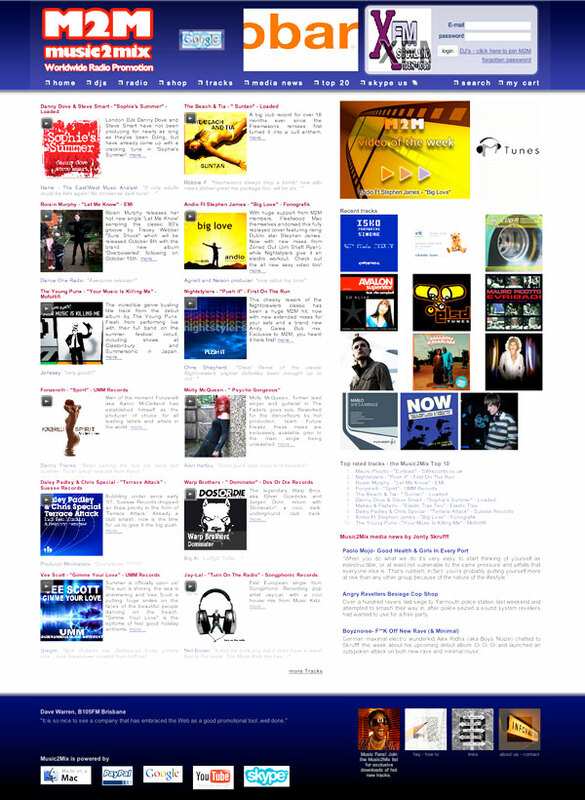 We are the pioneers of online promotion since 2003, now with 1200+ radio DJs. They could be speaking to 30+ million people about your online releases! Our service can help earn you money too. Repeated radio plays in the UK and throughout the World, on many groundbreaking music shows via the Radio DJs on our extensive database, covering all styles including Urban, all Dance genres, Rock, Chill Out & Jazz. If you have your track for sale online, our DJs can tell their listeners that your track is available immediately on iTunes, Beatport, Deeepnet, 7 Digital, Trackitdown, Orchard etc. We can link your album/release direct to your digital retailer for DJ sales. 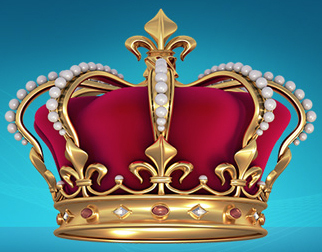 Register with PPL your track ISRC codes to qualify for UK radio play income. To register www.ppluk.com or tel +44 207 7534 1000 for Label Services. With your track receiving Worldwide radio plays, email the compilation companies or TV track licensing co's showing your Media2Radio feedback direct from the radio DJs. Some quotes on the Media2Radio service during its days before becoming Kings Of Spins in the USA. I really appreciate the Media2Radio service. Very professional. So rare. I've been LOVING the music being sent out by Media2Radio. I really like the way the site is set up for listening, download, etc. It's easy and I like that. ...we are very impressed. We especially like the comment section - this gives us insight into why the Dj's do or don't want to play the record. We are very pleased with the efficiency of the service you have given us, and more importantly, the human touch! You have been great!! Very professional, courteous and kind. You are a breath of fresh air with so many phony people around.... I plan to keep working with you on many releases.. Thanks for getting our Pamala Stanley - "The Bank of Love" release out into the hands of your members today. It's very cool observing how your program works. The initial feedback is fascinating. Actually, the whole media2radio concept is quite unique and marvelous. I'm very happy we got onboard and it certainly seems like we'll get some real mileage through your efforts to promote this new Pamala Stanley release. We're very grateful to media2radio for what's been done already, right from out of the Starting Gate. We're looking forward to tomorrow and the days that follow in the wake of today's great kick-off. Thanks so much. Thanks Media2Radio! We've gotten some REALLY good and valuable feedback. Ace! You are really make the air go BOOM! Hey guys, I'd like to thank you for the great work you've done with Spaced Invader. It's gotten into the right hands, the feedback is incredible and it's shot out of the gate on Beatport with excellent sales already. Basically, yeah, the song rocks... but you guys do as well ;) Sincere thanks and I look forward to doing more with you guys! M2R has really made a major difference in my show and my following. You guys are the best at with you do in my experience. I've used several other promo companies and by far I'm the most pleased with your data presentation, follow up of charts and reviews, length of promo support, and customer service. All for a great price. The website is so easy to navigate through and the staff have been really great to work with. I appreciate having another source to find great music. I love the service. It's my favorite one out of the ones that I have been enrolled in. DJ Everett, Tag Art Music Radio Hawaii. I love what you guys are doing. You really are helping to change the face of music in a very positive way. We are very happy it has had a very positive effect on sales as well, so we will be using M2R again 100%. Media2Radio provides a great service to labels and producers alike in a time when the music industry is needing to seriously adapt and re-think new and cost effective ways of promotion. This kind of radio promo would normally cost much much more. I still can't beleive the sheer range of stations and DJ's that I am reaching worldwide with the help of Media2Radio. In a nutshell you'd be mad NOT to use Media2Radio! Media2Radio was a Godsend for us, the campaign they created for the Roy Davis Jr. Album release, "GodLifeMusic", knocked it right out of the park. Highly recommended for anyone looking for serious global airplay. Full marks, 10/10. I was very satisfied with your work and the feedback I received. I will use your company for key releases in the future again. M2R is one of my most important factors in my quest of pushing and promoting the music for Wasted Youth. I feel grateful to be part of the team and gives me great satisfaction knowing my artists will be pushed around the world. Media2Radio is up there with iTunes, a true pioneer. With Mash It Up I sent the track to Judge Jules by all obvious routes via Dylan, Judge Jules.net etc.. I sent it to the person who knows the person his sister bought her dog off, you name it. Also had a plugger on the record. Must have sent 10 copies! Jules picked up on the track on M2R. Very happy with everything you’ve done for us. The M2R One 2.3 Four campaign is already looking pretty good, with enthusiastic feedbacks throughout the world! I have many releases forthcoming on all my labels that I want M2R to work. Awesome job! Keep up the great work!!!! Being a Mix Show DJ heard nation wide in the US on Cable TV and a few internet stations, I was finding it hard to find quality tracks from record labels that put the extra effort into promoting themselves and keeping dance music moving forward! In an industry that is undergoing such a drastic change it is really encouraging to see a new model such as Media2Radio which makes marketing and promotion an affordable option. Media2Radio service is "Excellence" for Mix Show DJs Worldwide! The service provided by your staff and yourself is priceless! It's About The Music and The Connection! Always a big smile on my face after promoting with you... just got some comments back and i'm blown away... they are massive... some of them are also thanking you M2M for supplying good music. The M2M service is great... best one there is! We'll be sending you every release. Media2Radio is an easy access site that never fails to surprise with a selection of tracks that are often worth their weight in gold. Without M2M i wouldn't be able to do such great mixes and mash ups for my show on Ministry of Sound Radio. Its easy to use and always has the biggest tracks for djs and radio stations to pump out! Every track i've been sent is a winner and is as upfront as you can get. I'm sure it's industry standard to get stuff from these guys, i can't sing their praises enough! Wow - I'm impressed! You guys are really doing it correctly. I wish the promoters here in the US would get their acts together and present the feedback info like you do. My goal was just to get exposure outside the U.S., and it looks like it's working! M2M has been an absolute godsend to us, the feedback we get from the DJ's is invaluable. We wholeheartedly recommend this site to anybody who wishes to promote their music in the most efficient way. Forget blind CD mail-outs that lead nowhere, M2M IS the way forward for your projects, take it from us. The support is second to none, these people know the business and are very accommodating indeed. So what are you waiting for? Get with the program! M2M has helped us launch our music to the European and world dance market. This service has given us credibility in this region and a chance to network with several DJs all over the world. We will definitely utilize M2M on our next release. An awesome service. Thanks again for providing such a wonderful service. The tracks I get from M2M always keep my sets banging. Thanks to M2M for raising my profile, I look forward to promoting their tracks on my brand new show on Global FM. I do not have much time as a busy DJ, but now im on your site. SUPERB!!!! work. I'm one of the partners of Pre Party Radio and we have a huge network. I will promote your site in the coming months to a lot of Djs and producers and music labels. Keep up the great work! You deserve the credits! Love and Peace. Your service is a major factor in my mix show playlists. I'm glad I met you in Miami! 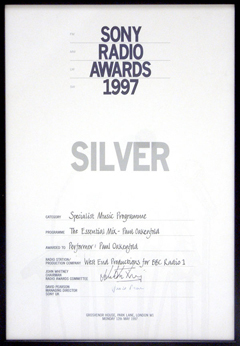 Media2Radio could become an industry standard in 2007. Besides the quality of the actual musical content, which is superb, it's ease of use, staff who deal with your queries quickly and added value throughout the portal make it essential for the time-poor DJ who needs to cut to the chase. It's my first-stop each week for promo downloads and I can't recommend it highly enough. Media2Radio is one of the best online services i've ever seen. Thanx for everything you do.. my full support! Media2Radio is getting better and better with quality tracks too! It's an honour for me to be on your promo list! I must say M2M is better than ever - love your work.Glad to be involved, it's wicked. It is so nice to see a company that has embraced the Web as a good promotional tool ,well done. Loving the new site - thumbs up! I am having the time of my life downloading your top ten. I haven't come across a bad tune yet (and that is unusual)! M2M always keeps my CD box eclectic & happening with upfront chunky beats way before anyone else has them. A user friendly site, with high quality MP3's & helpful staff. I absolutely rely on Media2Radio for their cutting edge forward way of thinking & admire them for always pushing the boundries of new innovative sounds. Keep the good stuff coming!